A US judge entered a plea of not guilty on behalf of James Holmes after his lawyers said they were not ready to enter a plea. A US judge entered a plea of not guilty on behalf of alleged Aurora theater gunman James Holmes on Tuesday, after his lawyers said they were not ready to enter a plea. 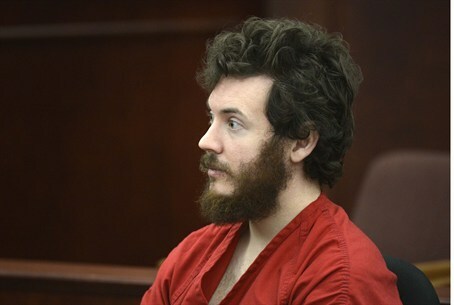 The judge left it open for lawyers for the 25-year-old to enter a plea of not guilty by reason of insanity at a later date, at Holmes's arraignment for the killing of 12 people in the Colorado town of Aurora last July, AFP reported. Judge William Sylvester set a trial date for August 5. Defense attorney Daniel King said he would be ready to make a plea by May 1 or June 1. Prosecutors objected and said they had waited long enough, to which the judge agreed and entered a standard not guilty plea. Holmes is accused over the July 20 massacre at a midnight screening of the Batman movie, "The Dark Knight Rises," which revived America's perennial debate about gun control. Holmes' arraignment had initially been scheduled for January, but the judge agreed at that time to delay it, triggering anger from some of the victims' relatives.